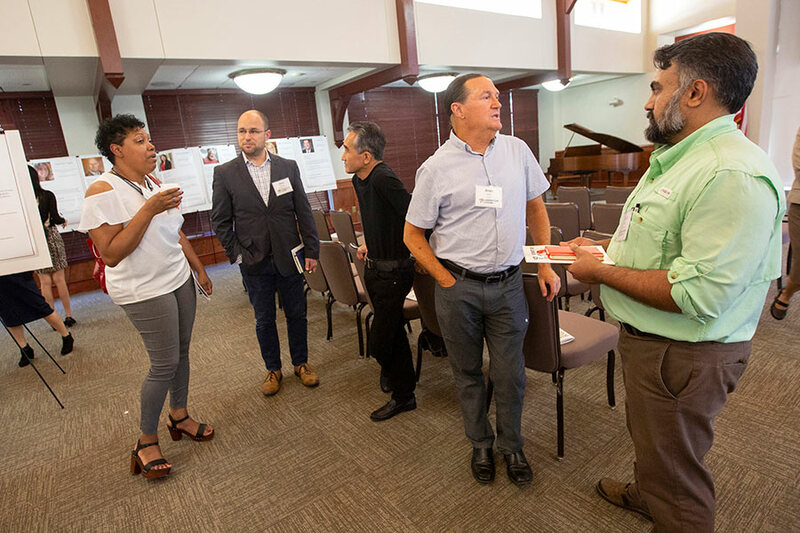 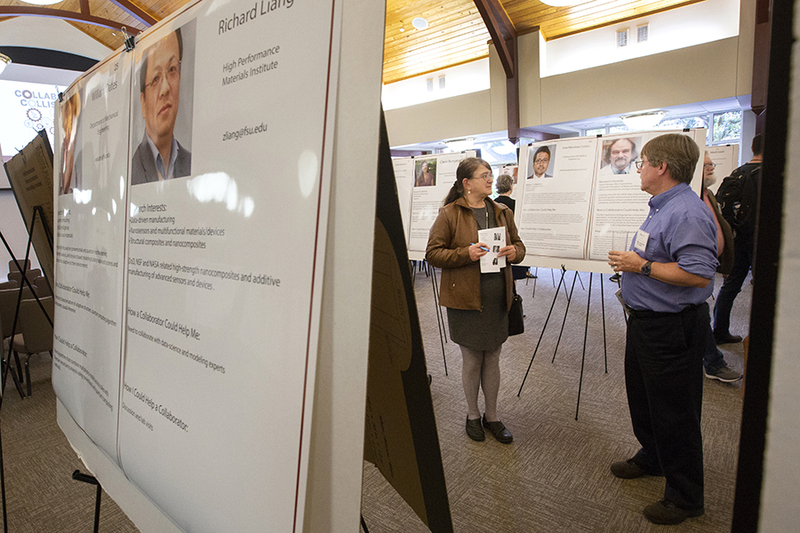 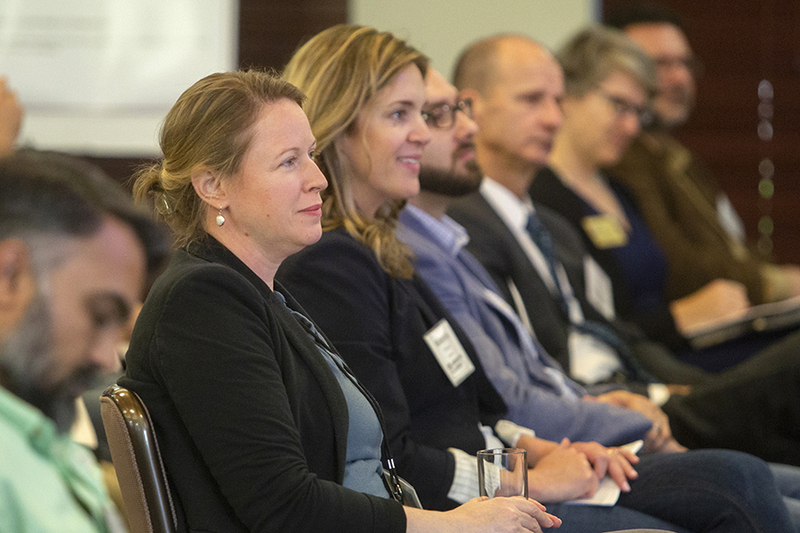 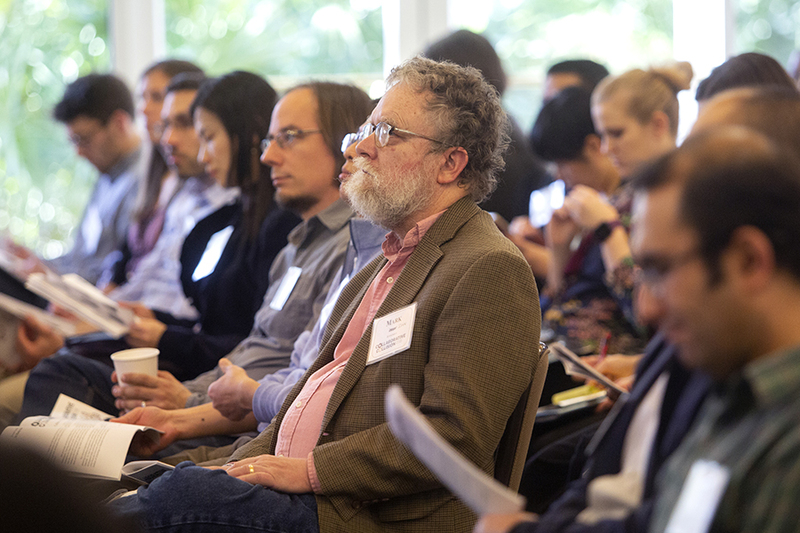 Florida State University faculty members intellectually collided this week at a special event designed to showcase research from across disciplines. 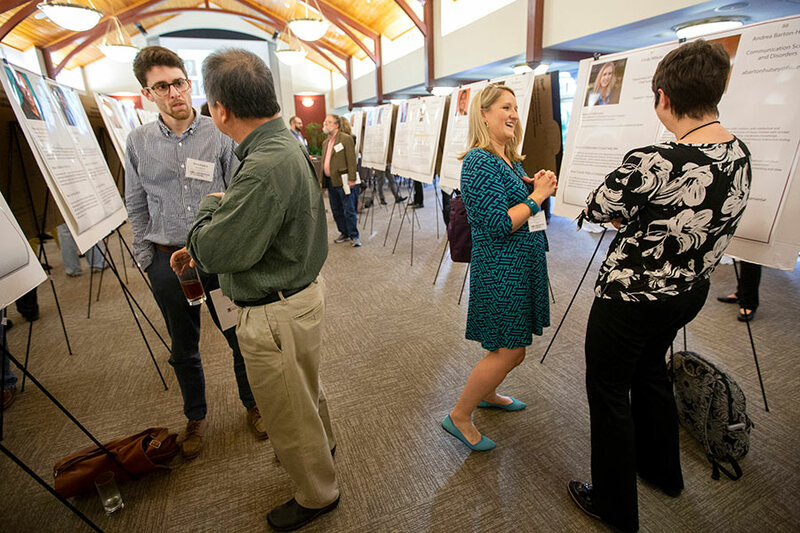 Collaborative Collision, a regular event held by the Office of Proposal Development, is an interdisciplinary networking event for FSU researchers. 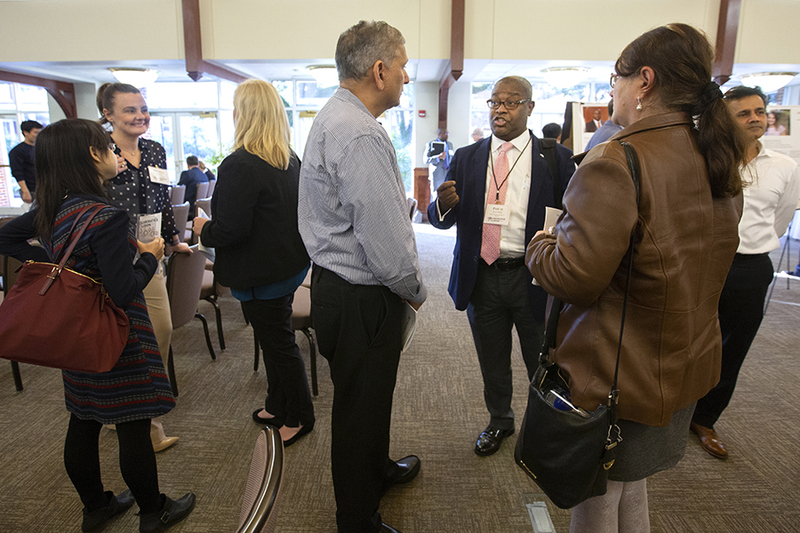 This particular event focused on funding opportunities from the U.S. Department of Defense. 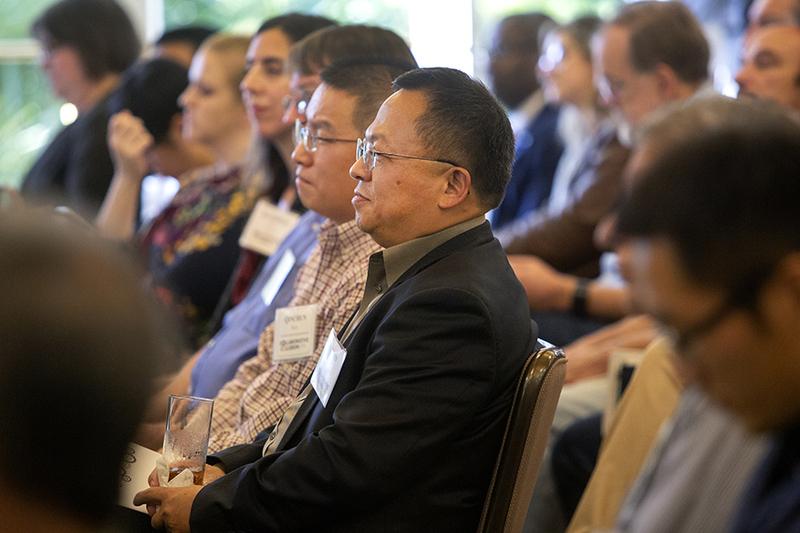 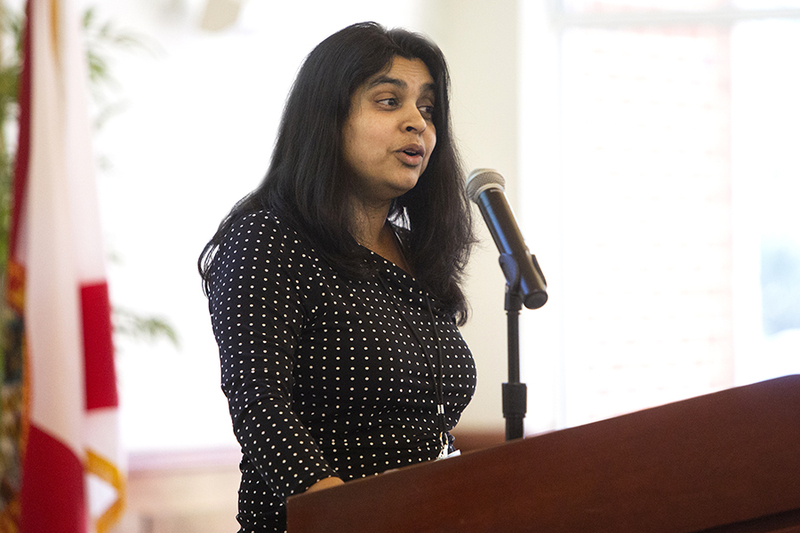 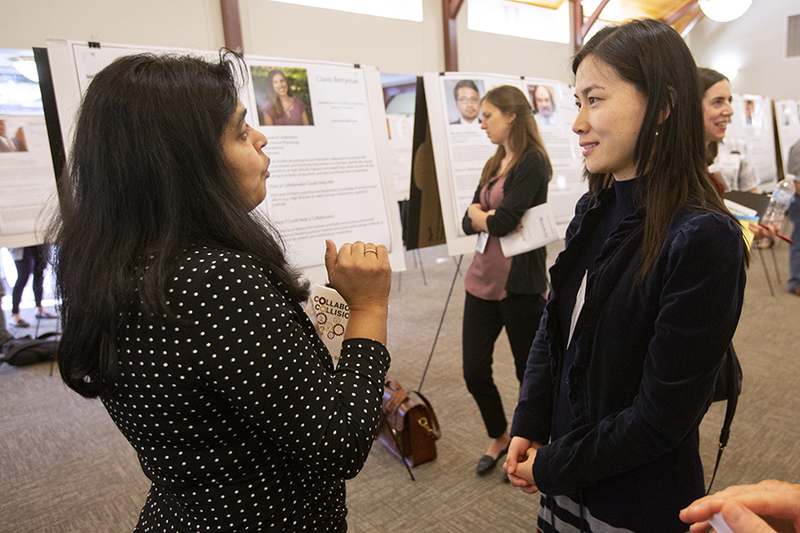 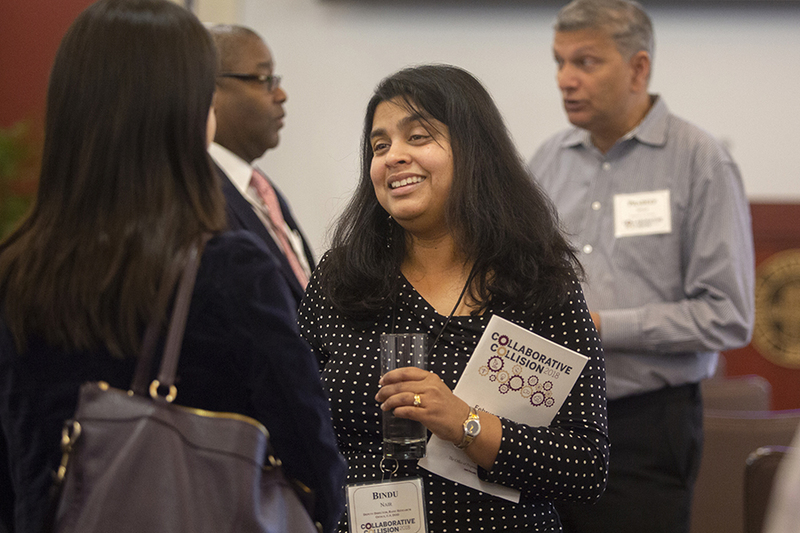 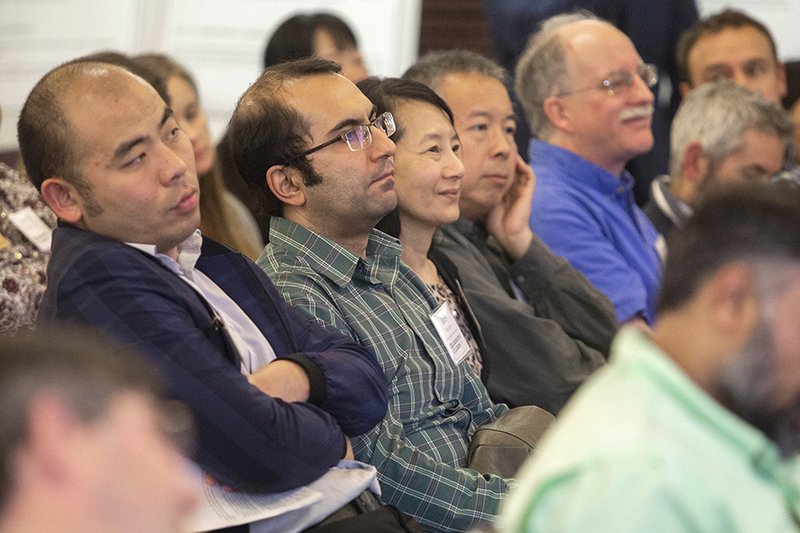 More than 100 researchers participated in the event, which also featured a keynote presentation from Bindu Nair, deputy director of the U.S. Department of Defense, Basic Research Office. 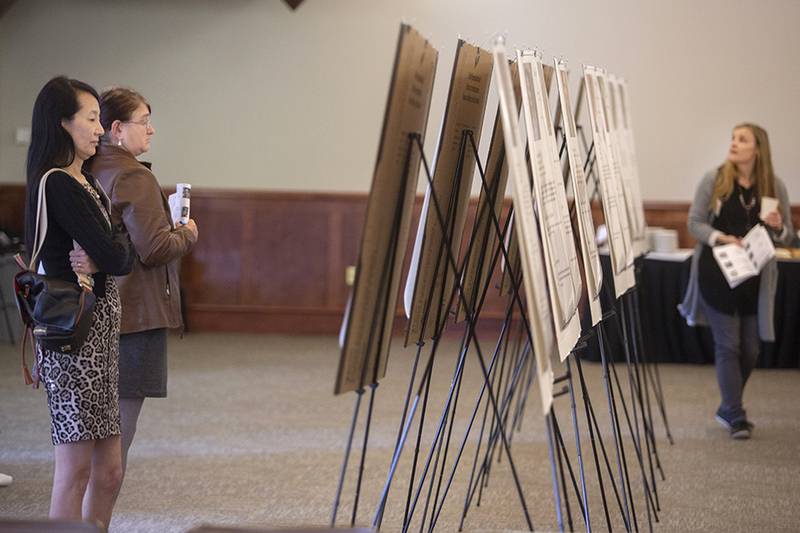 Research teams that form as a result of the event will be able to apply for a $25,000 grant through the Office of Proposal Development. 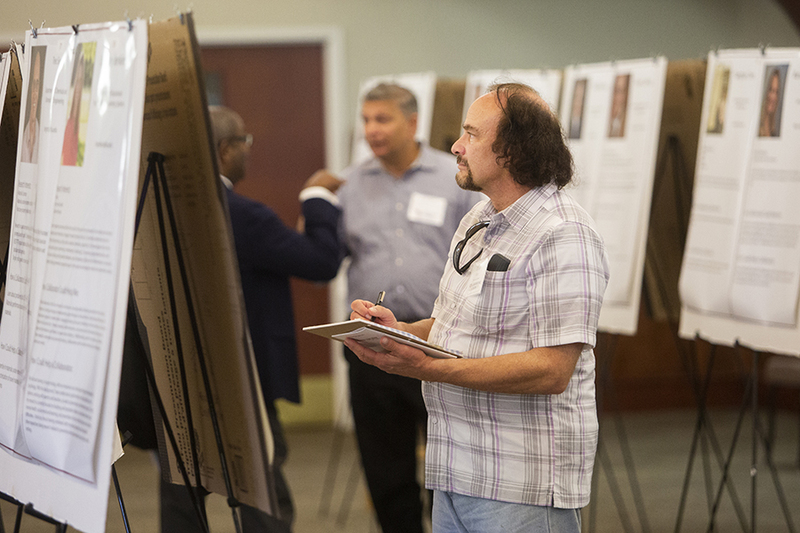 The next Collaborative Collision will be from 4 p.m. to 7 p.m. on March 27 at the FSU Alumni Center and will focus on children and families research. 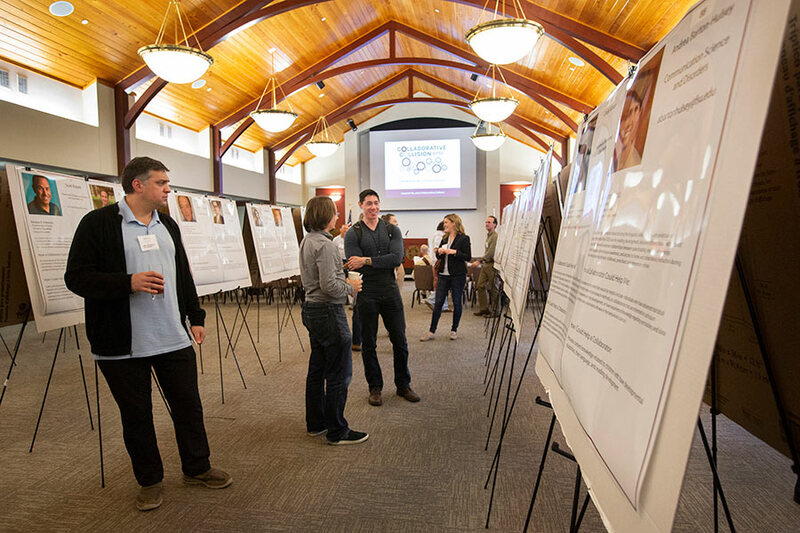 The office will also host an event on disaster resiliency research from 4 p.m. to 7 p.m. on April 16 at the Alumni Center. 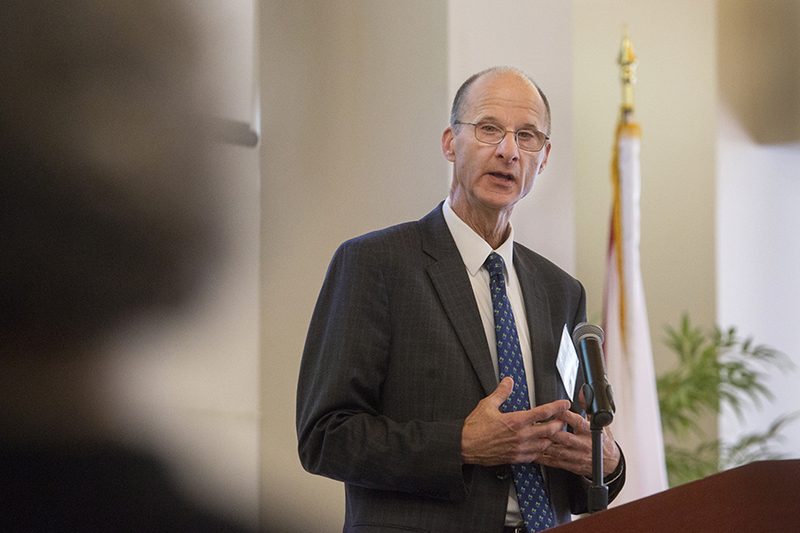 For more information, please visit the OPD website.